This Greek-Latin New Testament edition provides the complete Nestle-Aland Novum Testamentum Graece (NA28) together with the Nova Vulgata (Editio typica altera 1986). The Greek text and the Latin text are presented next to each other on double pages, so that they are easy to compare. 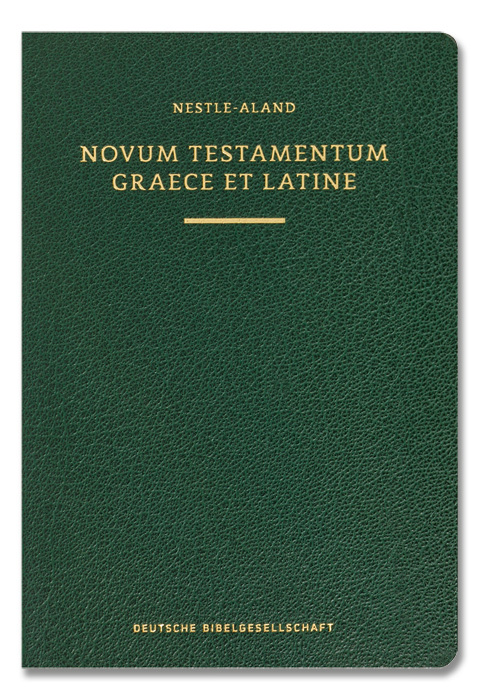 For the 28th edition, the Novum Testamentum Graece has been thoroughly revised. The structure of the critical apparatus was simplified and the readings of the newly discovered Papyri 117-127 have been implemented. Special attention has been paid to the Catholic Epistles with more than 30 modifications in the main text. The Nova Vulgata is the Latin translation of the Bible used by the Catholic Church in the current editions of the liturgical books. Its origin dates back to the Second Vatican Council. In the New Testament it is based on the modern critical text as printed in the Nestle-Aland edition. In this edition the text of the Nova Vulgata is accompanied by an apparatus providing full access to the Vulgate of Jerome, the Sixto-Clementina, and other Vulgate editions. Customer evaluation for "Novum Testamentum Graece et Latine (Nestle-Aland)"